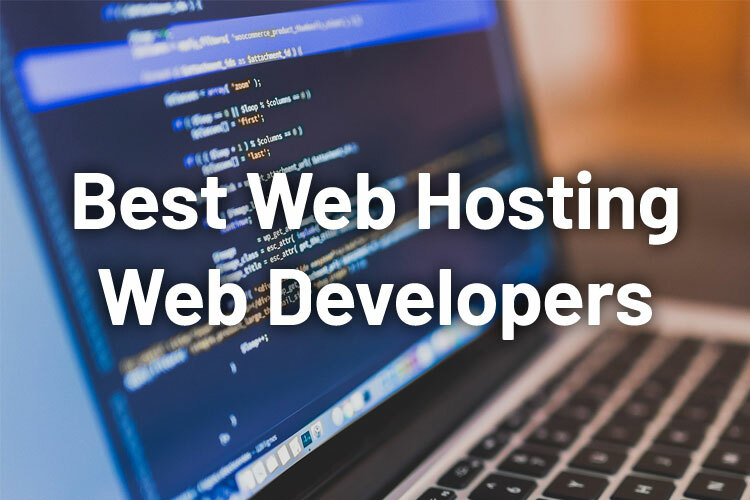 In this article we will be reviewing the top 5 best hosting for web developers. If you are looking for reliable web hosting providers for your projects or want to offer hosting service for your clients, this article will help you choose the best hosting company. Great website hosting reduces to 3S’s, which are support, speed and security. For website owners, the ability to scale a website, as the target audience grows and as the resiliency to handle any sudden traffic increase rapidly, is important. Website hosting services providers charge different rates – ranging from a few dollars each month to thousands of dollars each month. If you are a beginner, you should avoid basing your decision on the pricing alone. You will have to consider the quality of services too. Web hosting forms the foundation of any website and therefore it is important you select a website hosting company that can serve you faster and reliably each time so that your website visitors can have a great experience. Here is a quick look at some of the website hosting service providers we recommend. If you are looking for a cheap, simple and robust website hosting services, you should opt for DigitalOcean. It is a cloud website hosting provider based in New York and provides virtual servers that are highly configurable. Their eight data centres are situated in different parts of the world and their services are crammed with higher end and developer-friendly features. The provider allows the users to set up their services with several distros and apps like Docker. You can add the number of block storage your projects require. Use floating IPs to minimize downtime risks, secure the resources with cloud firewall and manage all aspects of your website set up through custom API. Even though some reviews will make you believe that DigitalOcean is only for the experienced users, that is not the case. The platform provides WordPress as part of their one-click apps. That means that you can make a VPS, install it and then start using WordPress in a few minutes. They provide 20 droplet plans each offering various levels of resources. Most of the resources are accessible to small business users and home, with 8GB RAM, 160GB storage server and 4vCPU and 5TB of monthly transfers. With droplets, you will be able to downgrade or upgrade the plans you choose. They offer 24/7 technical support for the users. Possibly, you are already familiar with the InMotion Hosting. You might have not have used it before, but you have already heard of the service provider. And if you have already seen the name or their advert somewhere, you already know that their services are of great quality. Since the year 2001, the customer base of InMotion has been growing rapidly and today they are hosting over 300,000 domains in their data centres in Virginia Beach and Los Angeles. Moreover, they also own the Web Hosting Hub that is target towards beginners and bloggers. InMotion Hosting is among the oldest and more established website hosting names within the industry and they claim of being the leader when it comes to supporting, transfers and industry guarantees. Most of the times, large companies are worse offenders. They concentrate more on making their brand recognizable and neglect some of the things that made them successful. InMotion has kept the quality that made them successful. The average uptime of the hosting company is 99.94 percent and the speeds are high. They also offer great support services to their customers throughout the day. If you are not happy with the services that they provide, you will benefit from their 90 days money back guarantee. HostGator is a widely known website host and has existed for many years. Currently, it stands as one of the 10 largest web hosting providers in the world, which means that they have a larger base of loyal customers and millions of website owners trust them. HostGator provides a wider variety of shared, cloud, dedicated, VPS and reseller hosting plans that are suitable for almost any website. The company provides servers based on Windows for individuals who need them. HostGator is extremely reliable. They have a great knowledge base, user interface and a wider range of hosting solutions. The customer support team is knowledgeable but can be slow at times. When it comes to speed, HostGator is a good choice for people who do not need extremely fast loading speed. The speed highly depends on the traffic and it can be slow when the traffic is excessive. FastComet is among the hidden gems in the website hosting world. Their long list of features and the reasonable pricing has made it the go for website hosting service provider for beginners and the advanced users alike. Moreover, FastComet offers a wider range of services to their customers and their official record shows that they entered the industry in the year 2013 as a provider of system administration services provider. FastComet is more reliable because its uptime average is 99.99 percent. To ensure that the users can access the offered RAM and CPU, FastComet implements resource quotas on the shared hosting plans. They offer a host-monitoring tool that you can use to monitor the inode and bandwidth in addition to the script executions each month. They have eight data centres situated in different parts of the world. Therefore, they will allow you to select a server location after ordering. When it comes to the money-back guarantee part, FastComet is among the few companies that provide longer trial periods for the new customers – their trial period is similar to that of HostGator and InMotion Hosting. They allow you to demand your money back if you do not get the results you expected within 45-days. That is considerably higher than the industry’s average, which stands at 30 days. You will get your money back within the 45 days and they will not charge you any amount of money for the cancellation. If you have never heard about A2Hosting, you should feel shameful. Even though they are not as famous as other website hosting service providers such as HostGator and BlueHost are, their speeds are around 20X faster. They have also existed in the market for a longer time – since the year 2001 (they entered the industry as Iniquinet). A2Hosting has data centres in several parts of the world including Michigan, Amsterdam, and Singapore. They also claim of 99.9 percent uptime and guru customer support. A2Hosting takes extra precautions to discourage shared hosting servers. They also implement additional functionalities like caching that store information in the user’s browsers to limit the number of times they will need to go back for information from a website. The fast load speeds are important, but that will be irrelevant if you do not get the service you need to solve problems as they arise. The web-hosting provider follows the impressive performance with helpful and friendly US-based customer support. Their customer services are available 24/7 throughout the year. You can use them through chat, email, ticket submission, and phone. Furthermore, they provide several preventive measures to keep hackers away from your website. HackScan is a free service that includes dual website hosting firewall, 24/7 security monitoring, virus scanning, and brute force defence. How to Choose Hosting for Web Developer? You are likely to read many website hosts reviews, but to enjoy the best services; you should understand the process of selecting a hosting service for web developers. The web-hosting providers in this list offer different services and therefore they are suitable for small business owners regardless of their needs or goals. Your website has to meet several requirements to satisfy the needs of your audience. Here are the key factors to consider when choosing a website hosting services provider. The uptime and speed of your website are vital if you want to be successful. Therefore, you will have to go for a web hosting company that uses the most recent technology and works to increase the reliability and speed of websites. They might implement NGINX with PHP 7.1, Memcache, add dual-city grid power feeds or HHVM for redundancy. The hosting company should implement the most recent reliability and performance optimization within their hosting infrastructure. The security of your website is among the fundamental aspects of any website hosting. The hosting company you select should employ various security standards. It should also be ISO 27001/PCI DSS compliant and SAS70 Type 1 Certified. The server and the datacentre should remain safe from threats like the mitigating DDOS attacks. Web hosts should also support various features. Most web hosts support a large number of the features that typical small business owners require. Website developers have specific requirements that might necessitate more features. Pricing is among the factors that every website developer should consider when shopping for website hosting services. Whether you are running a small business or a large one, you have already budgeted for your resources. You have to allocate adequate budget for the hosting. Some of the companies that offer inexpensive hosting plans might have limited features. You will come across many web-hosting companies in the industry, but you should keep in mind that there are many types of hosting plans. For example, a small business or an individual will need shared website hosting while the midsize businesses might need VPS web hosting. The large businesses require a dedicated type of web hosting. Each type provides a different level of security, performance, and features. You have to understand the type of web hosting you need. In addition to the website hosting, you will have to register your domain name. You can do that through a domain name registrar or through a website host. Some web hosts offer free domains after buying the hosting plans, but keeping the domain name separate from the host is important for easier migration if the need for that arises down the line.